It was one of the strangest dramas of the 20th century. The Russians -- and this was in 1958, in the depth of the Cold War, when the Soviet Union was our mortal enemy -- were holding a new competition, the Tchaikovsky Competition. The world was abuzz. Surely, people whispered, the Russians would never let an American win. A couple of American pianists entered anyway. One of them was Van Cliburn. Because of his win in the competition, Cliburn became a household name. He came home to a ticker tape parade. No pianist now could ever achieve that kind of celebrity -- think Lang Lang to the 100th power. And what is a ticker tape parade, anyway? Has anyone ever seen one? Reading Stuart Isacoff's "When the World Stopped To Listen," you can't help but be struck by all the stars that aligned as a backdrop to Cliburn's triumph. 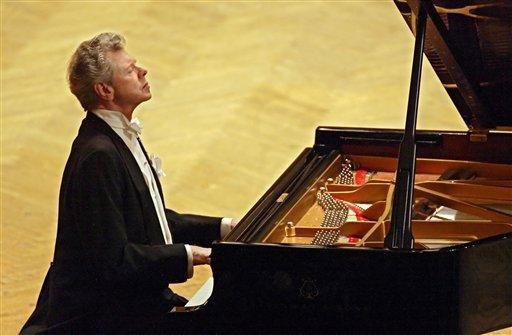 Cliburn was more than just a superb pianist; he was the right pianist in the right place at the right time. And after his win, it wasn't easy for him. He enjoyed the fame, of course, in his charming Texan way. But in the long run, it stunted him as a pianist. He had to play the Tchaikovsky Piano Concerto No. 1, the piece he had played in Moscow, over and over. He wasn't up to the rigors of superstardom. Cliburn was Southern Baptist, he was Republican, he was homosexual, and he had a quirky reclusive, nocturnal personality -- all things that might make the spotlight difficult. He dealt with it admirably, considering. But as he admitted years later to me, it was a mixed blessing. I could see why. The world didn't see him as a pianist. They perceived him as something else. I saw that for myself when I participated in the first Van Cliburn International Piano Competition for Outstanding Amateurs, in 1999. I couldn't stop staring at him. Who could? It was like seeing Niagara Falls for the first time, or the Grand Canyon. Not only that, but late one evening at the competition, he issued an impromptu invitation. The whisper went around: Cliburn was inviting us to his house. Anyone who had cut out early that day missed it. This was before Facebook or Twitter. We, the surprise elect, convoyed to Cliburn's house. (I followed a car with the license plate "Steinway"). The house was like nothing you would have imagined. Isacoff, in his book, reminds us that Cliburn bought it from Kay Kimbell, a Texas philanthropist. It topped anything I had seen in movies or on TV. We dined on terraces overlooking the twinkling lights of Fort Worth. Pianos and paintings were in every room. Cliburn drifted among us, laughing and chatting. He didn't care if you played the pianos or set your drink down on them or what. For a while my friend Karen, who had gone with me to Texas, had the job of holding his little dog. Thank God this was before cell phone cameras, but even so, we took a lot of pictures. Cliburn didn't care. He just smiled for the cameras. It struck me: He knows he is public property. This has been his life, forever. That was when the first Tchaikovsky Competition took place, the event Isacoff explores in his entertaining book. The book brims with interesting details. Many of them are recycled from other accounts, but they're presented well. It's fun to read, for instance, how Tchaikovsky's giant portrait looked out over the stage. The composer's eyes, larger than life, made pianists nervous. Legendary names figure on the periphery of the story. The jury included Emil Gilels, Sviatoslav Richter, Alexander Goldenweiser, Heinrich Neuhaus, and even Dmitri Shostakovich. Shostakovich's nerves were frayed after years of abuse by the Soviet government. Isacoff comes off as merciless when he writes: "Faced with brute force, he always caved." Of course, any of the rest of us would have been stronger. The young figure of Van Cliburn gives the story comic relief. At Juilliard, finally away from his brilliant but domineering mother, he had gotten into drinking, smoking, and gender-bending nightlife -- balancing it with finesse with regular attendance at New York's Calvary Baptist Church. Jimmy Mathis, a fellow Juilliard pianist who had been his childhood friend in Texas, said, "I got him to be a lounge pianist and he was great, a fabulous improviser." The Tchaikovsky Competition came at just the right time. He had won the prestigious Leventritt prize, but his career was slowing, and his late night hours didn't help. Other young pianists in the Juilliard circle tried to keep him moving by buying him burgers and calling his hotel to wake him up. He comes off as a young man as not very motivated. The noted pianist Rosina Lhevinne had to talk him into entering the Tchaikovsky Competition, then coach him for hours every Sunday. Isacoff is a pianist himself, and delves into the competition's nuts and bolts, even including an appendix of the jurors' scorecards. The photos of Cliburn hugging Nikita Khrushchev sure look like a handy photo-op for the Russian dictator. And it made Russia look magnanimous to give the gold medal to an American. Still, all the details regarding the jurors and their opinions should help quash notions that the competition was rigged. And the Russian people, as has been frequently written before, did appear to have fallen genuinely for the lanky Texan. Genial and accommodating, Cliburn couldn't refuse demands that his managers placed on him to play, over and over, the Rachmaninoff and Tchaikovsky that his fans demanded. That was only one factor that makes his later years kind of a bust, after what had come before. Even though tons of ink have been devoted to him over the years, there's no decent biography of him. I hadn't known that Cliburn, while a student at Juilliard, had signed on as a "patient" of the health guru Dr. Max Jacobson, aka "Dr. Feelgood." Jacobson's assistant recalled, "By the time he made it big with his Russian performance, Max really had him hooked." That detail suggests an inherent weakness on Cliburn's part, one that must have exacerbated his other problems. Also telling was Cliburn's subsequent dependence on astrologers and psychics. For whatever reason, he had trouble taking control, figuring a way out of the velvet handcuffs his victory had handed him. Maybe he simply wasn't motivated. The pre-Tchaikovsky Competition laziness seems to have returned, coupled with an understandable fear that he would not be able to live up to his by now gigantic reputation. 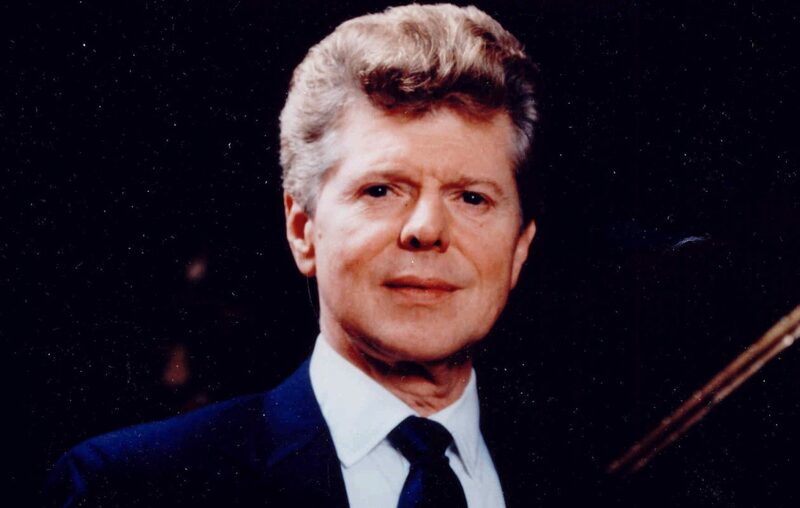 Vlassenko wanted above anything to see Van Cliburn, with whom he had made friends at the competition. They played for each other. Vlassenko wrote in his diary: "He seems a little out of shape." Things slid further as the decades passed. Isacoff, illustrating the pianist's laid-back ways, cites his 1977 recital in Buffalo. The story became legend here, how Cliburn walked into Kleinhans Music Hall more than an hour late, apologizing that his arrival had been slowed by the blizzard that had blown in over the city. Now we hear the rest of the story -- that he had dawdled, cavalierly ignoring his managers' pleas, missing one plane and then another. The year after that, he quit playing, starting a hiatus that was to last more than 10 years. After that, he played only on a limited basis. After that big splash in Moscow, he left a regrettably small musical legacy. Not that it's a sad story. In an epilogue, Isacoff looks at what happened to some of his competitors in that 1958 contest. Vlassenko remained for the most part under the Soviets' thumb. Liu Shikun, the Chinese silver medalist, was imprisoned for a while in China, and even tortured. Liu Shikun figures in one bittersweet final episode. Hearing in 2012 that Cliburn was ill, he managed to get to Fort Worth to see him. There's a photo of the two in Cliburn's home. Liu is at the piano. Cliburn, who died not long afterward, sits up straight in an ornate chair, listening. I was in that room. I probably set my drink on that piano. After reading Isacoff's book, I see even more clearly what an honor that was. How many people got to get that close to this figure of history? A few years later, Cliburn came to Buffalo, and played with the Buffalo Philharmonic Orchestra. We joked about how I was going to return to his amateur competition, make my comeback. What warmth he had, in music and in life. Isacoff even mentioned that in his book. In Russia, in 1958, when people were asked to describe what they felt in Cliburn's playing, they simply placed their hands over their hearts. It will always be a story worth retelling. Mary Kunz Goldman is the Classical Music Critic for The Buffalo News.